Team up! 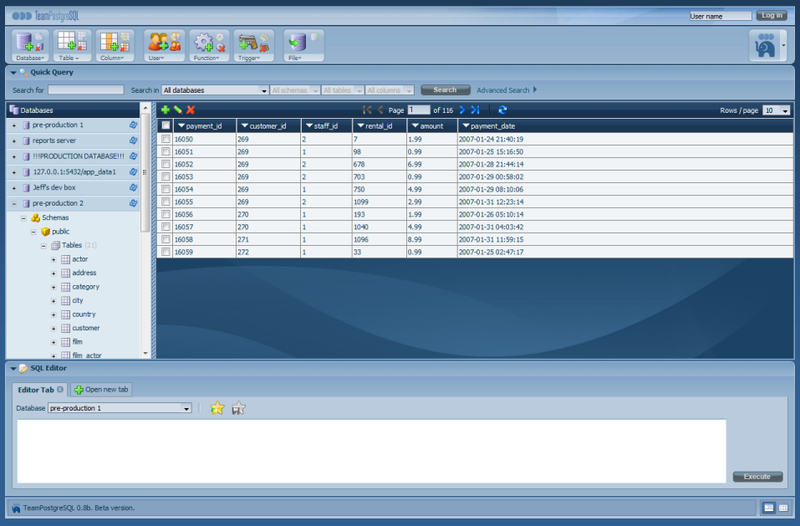 Web-based interface allows database access for all using only a browser. Simply install the TeamPostgreSQL server on any computer on the network. More - Try it now! Master your data with unique tools to browse and manage database contents with superior productivity. 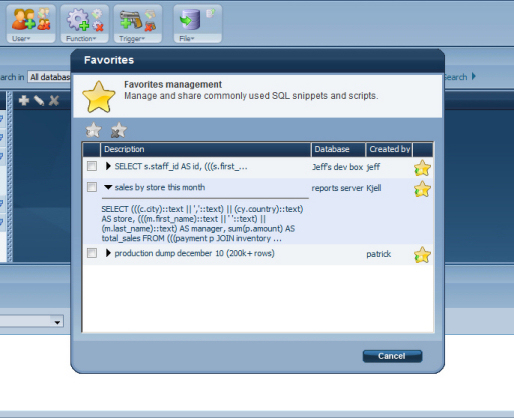 Manage databases, users and database objects, including comprehensive management of tables and views, functions, triggers, and more! 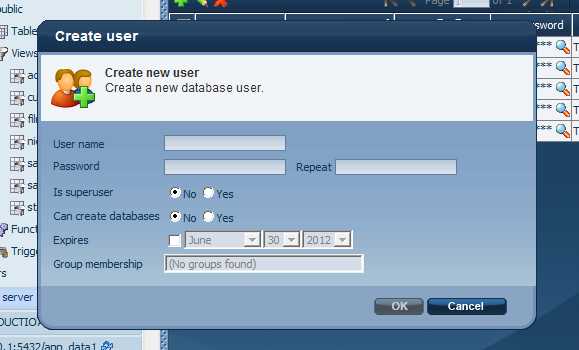 Collaborate on designing, developing and maintaining your relational database backend, by sharing access, SQL and more! TeamPostgreSQL is completely free. Donations gratefully accepted.